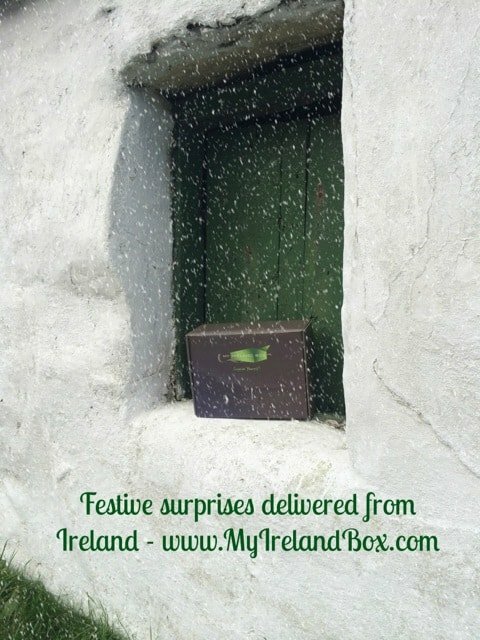 My Ireland Box curates unique Irish gifts for you or someone special to you. Each month a perfect little Irish surprise is delivered to your doorstep. Today I’m delighted to announce My Ireland Box is sponsoring a wonderful Christmas giveaway for one of Irish American Mom’s readers. The prize is a Three Month Christmas Gift Subscription for the winner or someone they choose. The lucky reader or their chosen recipient will receive an E-Card on Christmas Eve surprising them with this amazing three month gift subscription. More details on how to enter this little giveaway are available at the end of this post, so keep reading to learn more. What Is My Ireland Box? My Ireland Box is a curated gift box subscription service, delivering the best of Irish crafts each month. It is a gift that keeps on giving for as long as you wish, and a perfect gift choice for those who love all things Irish. The wonderful world of Irish made crafts and the talented artists who devote their lives to the creative process are introduced to subscribers each month. Based in the pretty little town of Dingle in County Kerry, Katharine Keane Barrett and her husband Thomas Barrett, curate the best of Irish made craft, home wares and beauty products, delivered as a monthly surprise to your door! And best of all they ship to the USA, Canada and Europe. 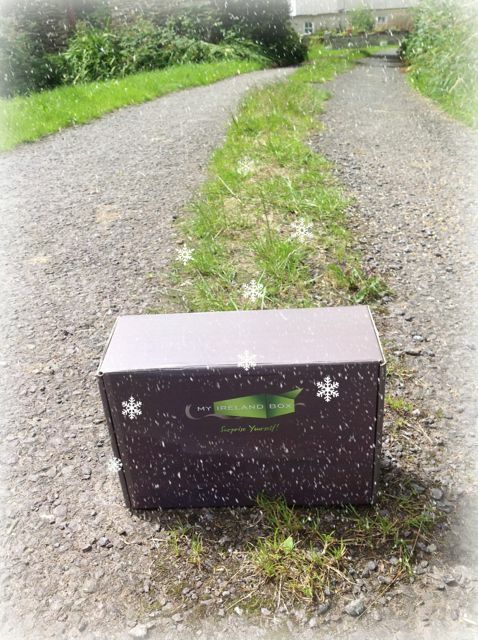 This Christmas, My Ireland Box is running a special offer for those looking for the perfect Irish gift. 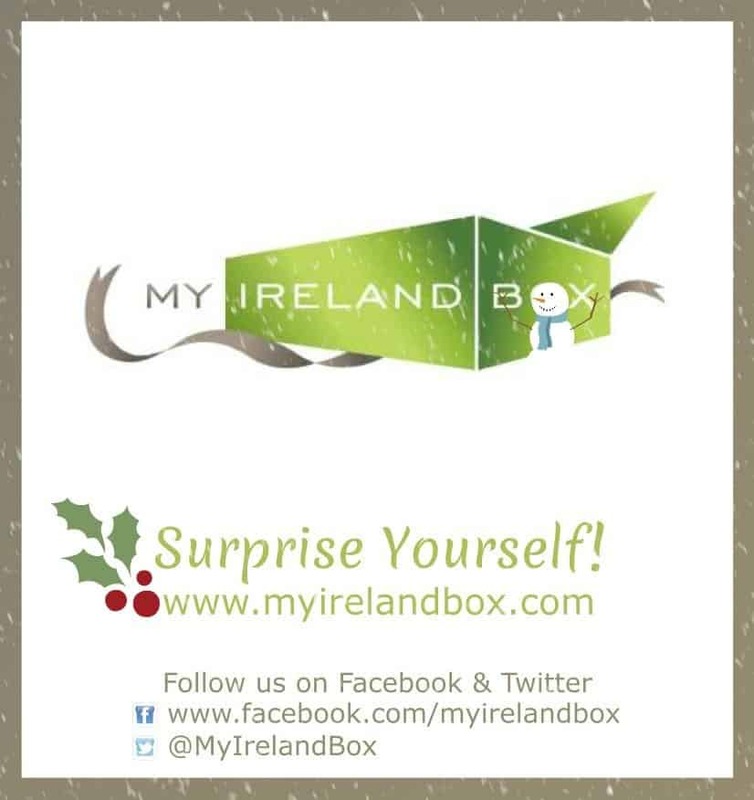 MyIrelandBox Three Month Gift Subscriptions are available until Christmas Eve, 24th December, 2014. This offer includes a FREE TREAT and Christmas E-Card to be sent to your recipient on Christmas Eve informing them of your gift to them! What a perfect way to start your Festive Holiday Fun with an Irish gift that will keep on giving right up until March, to celebrate St. Patrick’s Day. My Ireland Box is offering one lucky reader a Three Month Christmas Gift Subscription (a value of $125). To enter our giveaway just leave a comment on this blog post by noon on Tuesday, December 23rd, 2014. You can leave any comment you wish. What you write does not affect your chances of winning. If you need some inspiration, why not tell us about your fondest Irish memories of vacations past, or time spent living in Ireland. If you have not yet made it across the pond to Ireland, why not tell us about your Irish dreams …..
A winning comment will be chosen randomly. Remember to leave your e-mail so the good people at My Ireland Box can surprise you for Christmas. Your e-mail won’t be published or shared, just used to contact the lucky winner. The winner will be announced on Wednesday, December 24th, 2014 and the name shared at the end of this post. Best of luck to all our entrants and a big thank you to My Ireland Box for once again sponsoring a fantastic prize for Irish American Mom’s readers. I really appreciate their generosity. Congratulations to Erin, who is our lucky winner. Thanks to everyone who joined in and enter this little giveaway. It was lovely to read everyone’s comments and learn how much you all love Ireland. And a big thank you to Katharine from MyIrelandBox for sponsoring this wonderful prize. Wishing her every success with her business. Disclosure: Irish American Mom does not have a business relationship with My Ireland Box. No cash payment was received for publishing this giveaway post. I love to help spread the word about small home businesses, artists and crafts people. Thank you to all who support these wonderful Irish and Irish American business enterprises. Images published with permission of MyIrelandBox. What a wonderful gift! I am always looking for new Irish treasures for my home. 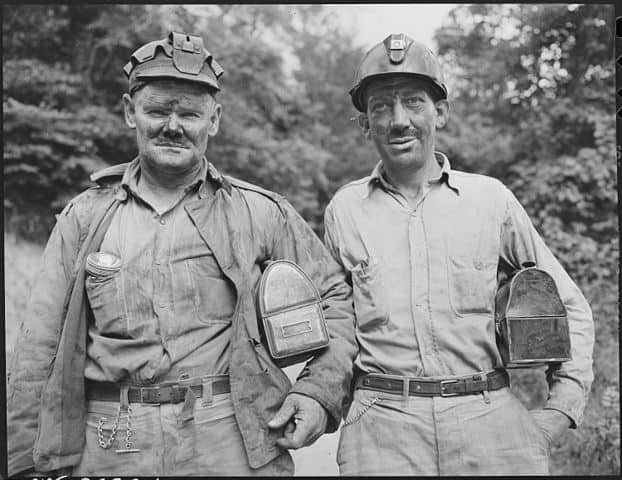 My father was born in Ireland, then immigrated with his parents to the US. Irish pride has long been instilled in me and I long to visit Ireland someday (hopefully soon!) and see the family that still lives there. Nollaig Shona Daoibh! I grew up in Wisconsin and my brother, a Catholic priest, has been to Ireland and says the green hills of southwest Wisconsin are like those of Ireland but not the same. My bucket list is to go there while I am still able and take my daughter as well. I miss my mom’s Irish dinners and the ability to tell a good Irish tale during dinner as well! What fun we had! She raised all six of us kids on her own after my dad died at a very young age. The Irish do not give up or give in! I miss and admire her so! Hug your Irish loved ones as they are a rare kind of folk! Popped in to check out your Christmas pudding recipe and stayed around to try even more recipes! My kids loved your shepard’s pie (cottage) and potato, leek soup! What a wonderful idea! I visited Ireland in 2010 and loved every minute spent there! Thank you for offering this lovely prize! What a wonderful giveaway! I would love to win this one! I had the blessing of finding my Mother’s family in Glencolumbkille, County Donegal. 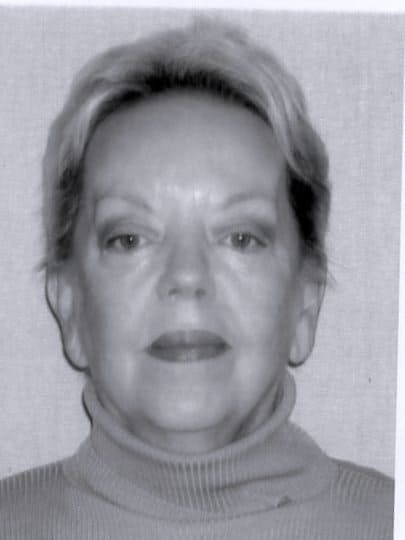 She passed away when I was very young and contact was lost with her family in Ireland. My oldest daughter and I were able to spend several weeks in Glencolumbkille in 2008 with my Mother’s only surviving sister. What an amazing and emotional time that was for all of us! My parents were from County Kerry. This brings back memories of when my aunts and uncles back in Ireland would sent us things for x-mas, St. Patrick’s Day etc. This is a great idea and whomever receives a box is in for a treat. This is a wonderful give away. I would share with my parents for all they do to help me and the kids out. I contacted Gaelic Girl for help ordering a gift. Got a speedy response in spite of the fact that they are very busy thanks to you.. Love the fact that their products are natural without a lot of additives and plan to order from them in the future. My mother would have loved all of these beautiful things. I miss her. What a great giveaway! I’ve not made it to Ireland yet but would love to visit sometime since my ancestors came from there. One great grandmother and one gggrandmother were from Ireland and I have been over there several times looking for information on the family. I have fallen in love with the South West of Ireland and hope to return again soon for my 4th trip over. I love all things Irish,it must be the blood of my ancestors in my veins. A trip to Ireland is at the top of my bucket list. Ireland, home of my heart! What a wonderful idea for a giveaway. I love visiting my relatives there & finding unique hand crafted items to bring home! My twin sister and I got matching tattoos in Dublin about 8 years ago when we were travelling. I Love Ireland and all things Irish. I grew up in Ireland and have lived in the states for 21 years. I have 2little girls and I’m very excited to introduce them o all things irish. I have done stuff but am always looking for more irish stuff for them. Go raibh maith agat agus La Nollaig Shona Duit. Been to Ireland twice. I would love to live in the Kilkenny area someday, sigh. I enjoyed so much that I think about my next trip just about every day! 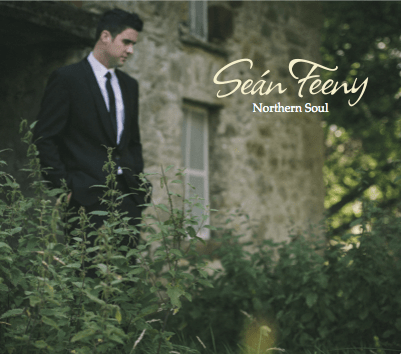 Thank you for this blog, it makes me feel so much closer to my next trip to Eire! I haven’t gone yet, but I’ve got 2 more years to save up so we can spend our 10th anniversary in the land of my husband’s people. I would love to win this gift. I was born and raised in Ireland but live in the US now. Oh wow, thank you so much! I’m actually in the middle of reading a book about gorgeous Ireland Gardens! Have a blest Christmas! What a wonderful gift for someone!! Thank you and Good Luck to you all!! Thank-you for the opportunity. 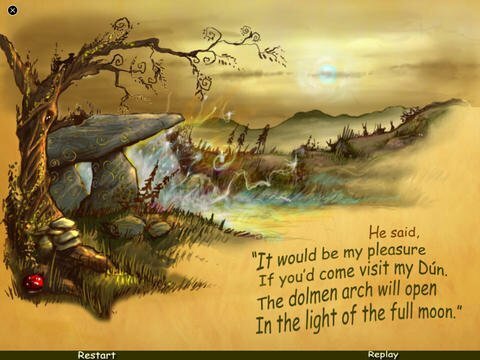 It has been my wish to visit Ireland, and every time we plan a trip, something comes up, for the 20th anniversary, we suddenly needed a new roof and furnace! For the 25th anniversary, we now have our Grandson living with us, and we all know how quickly teenagers can eat up a budget (literally). winning this would bring a little bit of Ireland to me, until I can get there. Crossing my fingers! Ireland is beautiful. My husband and I are saving for an anniversary trip to several locations throughout Ireland. I would love to find some antique book stores to get lost in, and my husband can’t wait to visit some pubs! I’ve never been to Ireland but hope to get there someday. My genealogy brings me to County Clare yet that’s as far as I know. I love learning about the culture and history of such a beautiful land! This is a great giveaway! I’d love to win so I could share it with my parents. They have been to Ireland twice (both for anniversary trips) and have fallen in love with the place. Hopefully next time they’ll take me with! I remember Christmas with my grandma, she was very Irish and very set in the traditions, and now being a mother i am instilling those Irish traditions to my daughter! We love making soda bread and Colcannon! I would love to someday visit Ireland! Still dreaming about making my way to Ireland to visit the origins of both of my parents, Murphys and Dugans. I’ll get there one day! I would be over the moon with excitement. Merry Christmas! There is nothing I would love better than surprises from Dingle, my favorite place in the world. This would be such a wonderful Christmas gift!!! 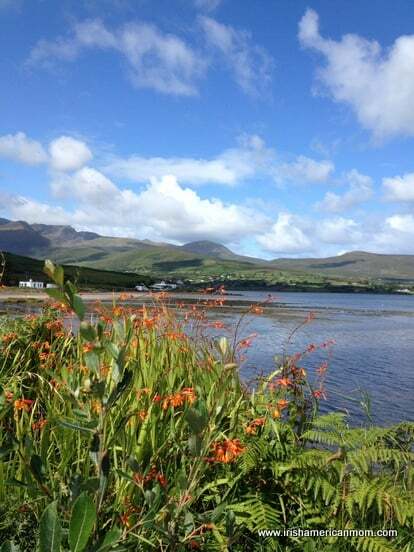 Ireland is the home of my dreams….my home of long ago. I hope to get there one day. This would be a great gift! Merry Christmas! What an amazing offer, thank you for the chance. This would make an awesome anniversary and Christmas present. I’ve not had the opportunity to see Ireland but receiving something from there would give the feeling of being a little more connected. I just found your treasure of a blog and I’m absolutely delighted! 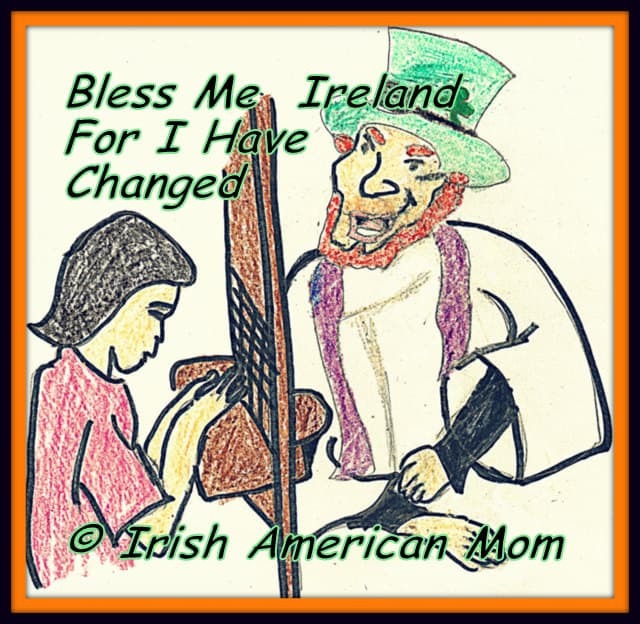 I have not been to Ireland but my family (Kinley) were immigrants and many traditions along with some superstitions were passed on creating such a longing to visit Ireland. We are planning a trip in 2016 and would love the box as a precursor to our trip “home”. I look forward to my family going on a trip to Ireland one day! I would be over the moon to receive such a gift. Thank you! This would be a real treat. What a great business. Well done to My Ireland Box for their vision. Thanks to everyone who entered this sweepstakes and congratulations to our winner, Erin. I am ever so grateful to the good folks at MyIrelandBox for sponsoring this wonderful prize. Thank you all for your amazing comments and insights into why Ireland means so much to you. I loved reading each and every one of them. Best wishes for a very happy Christmas and a peaceful and prosperous New Year. Many blessings to you and yours in the new year!! Blessings to you and your family too. Here’s to a wonderful 2015.